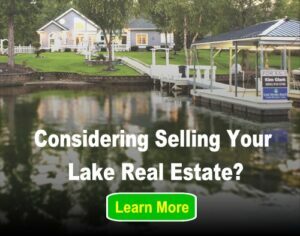 Making sure your empty lake home is safe in the winter is essential. Nobody wants to show up when it gets warmer and there be something not working or even come home to an empty place. It is imperative to lock up and seal everything before you close up shop for the winter. 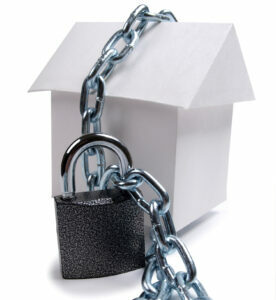 This will keep animals and potential thieves out of your home. Unplug appliances– make sure all TV’s, microwaves and kitchen appliances are all unplugged. Drain the waterlines, and open the faucets to avoid freezing pipes; if you have a pool, make sure to drain it as well. Turn the water heater off and the main water on the exterior of your home as you don’t want your pipes to burst due to freezing. Take out all the trash that is in the house. If there is left over food in the sink or garbage, it will attract mice or other unwanted animals to your home, so be sure to clean up well. Clean out the fridge, pantry and cupboards. Again, if food is left in the house, it will attract bugs and other animals. If you are going to be away from your vacation home for a long time, be sure to not leave any food behind at all, especially in the fridge so that it doesn’t spoil. Turn down your thermostat. Since you won’t be in the home during the winter, just keep the thermostat at a temperature to keep the home from freezing. Store any outdoor furniture on the inside of your home to avoid any missing items, or if there are strong winds, they won’t blow into someone’s house or vehicle. Make sure to lock all your windows and doors in the house. If you have someone nearby that may come by every once in a while just to give the home a look-over, that would be ideal. Have that neighbor also gather your mail for you, or have it forwarded until your return. Purchasing a timed porch light that turns on and off randomly is a great investment in order to make it seem as if your home is being lived in. Consider paying a landscaping company to manage the upkeep of your lawn. If the yard is unkempt and covered with leaves, it gives the impression that no one has been, or will be, at the house anytime soon. Since you are leaving your vacation home for weeks or even months at a time, you want to take all measures necessary in order to keep it safe and secure. Following the above steps will give you a peace of mind that your house is going to be the same as when you left it, and without issues. Many intruders are keen to the fact that people leave their vacation homes in the winter, so making sure that it look as if someone is in the home as much as possible is best, as a thief will pass by the home thinking someone is in it.